During the 12th meeting of the Conference of the Parties (COP 12) to the Convention on Biological Diversity (CBD) parties along with the international community including partners of the Biodiversity and Community Health (BaCH) Initiative discussed about the role of biodiversity for sustainable development. In line with this COP’s theme ‘Biodiversity for Sustainable Development’ participating Ministers of Environment along with other high-level delegates stressed the mutually supportive nature of the Aichi Targets and the Sustainable Development Goals (SDG). This message was conveyed through the Gangwon Declaration – the main outcome of the High-Level Segment of COP 12. 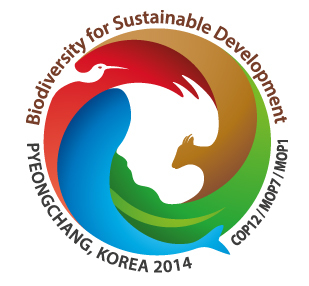 The Gangwon Declaration aims to send a strong message for the fundamental role of the Strategic Plan for Biodiversity 2011-2020 and its Aichi Biodiversity Targets and Vision for 2050 to the post-2015 development agenda. As such one of the decisions (Decision XII/5) highlights the need to take further actions for food security and nutrition. Bioversity International, one of the BaCH Initiative’s key partners has been raising awareness for and generated evidence on the linkages between biodiversity conservation, food and nutrition to improve human nutrition and well-being at large over the last years. Amongst others, Bioversity International is anchoring the Biodiversity for Food and Nutrition Project – a multi-donor project in Brazil, Kenya, Sri Lanka and Turkey to mainstream biodiversity, food and nutrition. Read the CBD press release “Major sustainable development outcomes of biodiversity meeting to be transmitted to 69th session of UN General Assembly for consideration in post-2015 Development Agenda” here. Learn more on the role of biodiversity for sustainable development through the Biodiversity and Community Health (BaCH) Initiative’s engagement during COP12 here. The Sustainable Livelihoods Foundation, a Cape Town based non-governmental organisation, jointly with herbalists and other partners launched Herbanisation – an open access, medicinal street garden project in 2012. The underlying idea is to create livelihood options for local Rasta and Khoi herbalists by upgrading degraded streets capes in economically marginalised areas marked by high unemployment and crime rates in Cape Town. At the same time the project aims to reconnect the community members with medicinal plants and the traditional knowledge around the use of these plants as well as traditional healers. Herbanisation has proven to be a successful approach for conservation, livelihood creation and connecting multiple stakeholders to take action to improve their health and well-being. Started as a pilot project with 250 medicinal plants, Herbanisation has expanded and covers currently 1.700 plants in Seawinds and will most probably reach 4,500 by mid 2015.